While most insurance agents and brokers are hardworking, upstanding individuals, a few are unscrupulous. How can you tell if your insurance intermediary is dishonest? Here are 10 signs that your agent or broker may be doing something illegal. I. Your agent is overly aggressive and pressures you to buy a policy right away. Beware of any agent who pushes you to buy a policy before you've had time to consider your options. He or she may claim that "this deal won't last long" or that a price hike is imminent. An ethical agent won't try to rush you through the decision-making process. Rather, the agent will explain the alternatives available to you and encourage you to evaluate them fully. II. The agent quotes a premium that seems very low or that is much less than your previous premium. There's an old saying that if something seems too good to be true, it probably is. This applies to insurance premiums. While the cost of insurance can vary from one insurer to another, premiums usually fall within a fairly close range. Be suspicious of any premium quotation that seems unduly low. III. Your agent lacks credentials or a valid physical address. Ask your agent to provide his or her license number and verify that the license is active by contacting your state's insurance authority. In many states, you can check an agent's license status at the insurance regulator's website. Make sure the agent has a valid physical address, not a post office box. He or she should also have a business phone number and email address. Avoid any agent who communicates solely via his or her cell phone or personal email address. IV. Your agent adds coverages to your policies that you didn't request, don't want or didn't approve. Most brokers and agents earn commissions from insurers on the premiums you pay. Commissions are based on a percentage of the premium, and they vary by line of business. The more premium you pay, the more commission the agent earns. An unscrupulous agent might try to generate more premium by adding coverages to your policy that you haven't requested and don't want. Check new policies to ensure they contain only the coverages you requested. Scrutinize any requests for premium you receive from your agent or insurer after the policy has been issued. V. When you ask for help filing a claim, your agent urges you to inflate the value of damaged property or seek reimbursement for expenses you didn't incur. An agent who encourages you to lie on claim forms is asking you to collude in committing insurance fraud. Don't do it! Instead, report the agent to your state's insurance department or fraud bureau. VI. Your agent recruited you via an unsolicited telephone call or email. Virtually all agents do some type of marketing to attract new clients. There's nothing wrong with an agent using email or the telephone to solicit new business. Still, you should be wary of any agent you meet through a direct solicitation until you have thoroughly vetted him or her. Ask the agent to provide references. VII. You have paid your policy premium but have not received any policy documents. Some unscrupulous agents collect premiums from clients but then keep the money rather than forwarding it to the insurer. Contact your insurer if you have paid your premium but not received your policy or renewal documents within a reasonable amount of time (30 days or more). VIII. When your agent submits an application to insurers, the application misrepresents your business, omits losses or includes other blatant inaccuracies. An agent who is eager for premium may lie on your insurance application to bypass the insurer's underwriting rules or to make your business more attractive to the insurer. For instance, your agent might show "no previous losses" on the application when you've actually had two prior claims. When the insurer discovers the truth, both your and your agent's credibility will be destroyed. If you suspect your agent has submitted false information on an application, notify the insurer or your state regulator. IX. Your agent asks you to pay premiums by writing checks payable to him or her. Send your premium payments directly to the insurer. Don't make checks payable to the agent. If you leave a check or any other type of payment with the agent, be sure to get a receipt. X. The classification descriptions that appear on your liability or workers compensation policy don't accurately reflect your business operations. Some agents or brokers will intentionally misclassify your operations in an application. For example, suppose you seeking a general liability policy for a roofing business you own. Your agent submits an application on your behalf to the XYZ Insurance Company. XYZ will not insure roofers so your agent classifies your business as Drywall and Wallboard Installation. Alternatively, your agent helps you fill out an application for a workers compensation policy. He offers to lower your premium by misclassifying half of your employees as independent contractors. In exchange for this "favor," the agent requests a $1,0000 kickback. 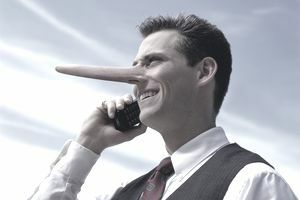 If you suspect that your agent or broker is dishonest, notify your insurer and your state insurance authority.